The National Association of Container Distributors (NACD) is a professional association of rigid packaging distributors who supply bottles, tubes, pumps, sprayers and other closure systems. America’s foremost companies have discovered the benefits of working with NACD members. NACD and their supplier organizations adhere to a strong code of ethics that ensures the most trusted products from the nation’s best manufacturers. The rigid packaging industry's leading distributors and top manufacturers offer fresh, innovative and effective approaches to packaging needs, and outstanding service without added costs. 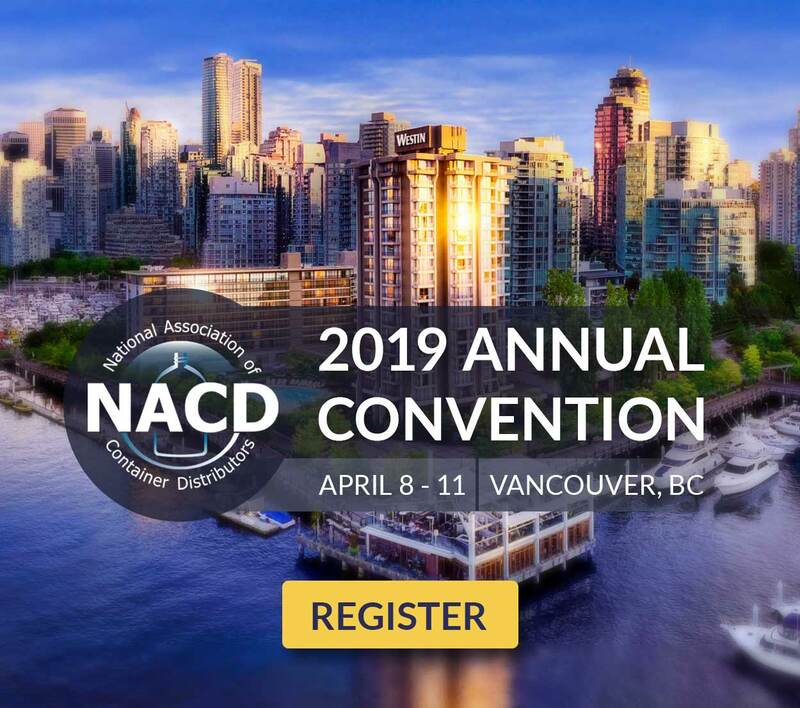 NACD's 2019 Annual Convention — taking place April 8 - 11 at the Westin Bayshore Vancouver — will be a one-of-a-kind private event for NACD Distributor Members and Supporting Suppliers. Distributors contact staff for your coupon code (one per company). More registration instructions below. With inspiring lessons on cultivating the mindset of a champion and a winning formula for life and career success, Siri Lindley empowers audiences to be the absolute best they can be. As a former triathlon world champion and coach to many of the sports world’s top stars, Siri has made it her business to help others change their lives and make their dreams come true. She positively influences and empowers people by connecting them to their greatest strengths and passions, while giving them the courage to live their best life from a place of fearless love and authenticity. During her pro career, she dominated the International Triathlon Union World Rankings, winning 13 World Cup races, and was the 2001 ITU World Champion. Siri won the World Cup Series in 2001 and 2002 by being the #1 ranked triathlete in the world. 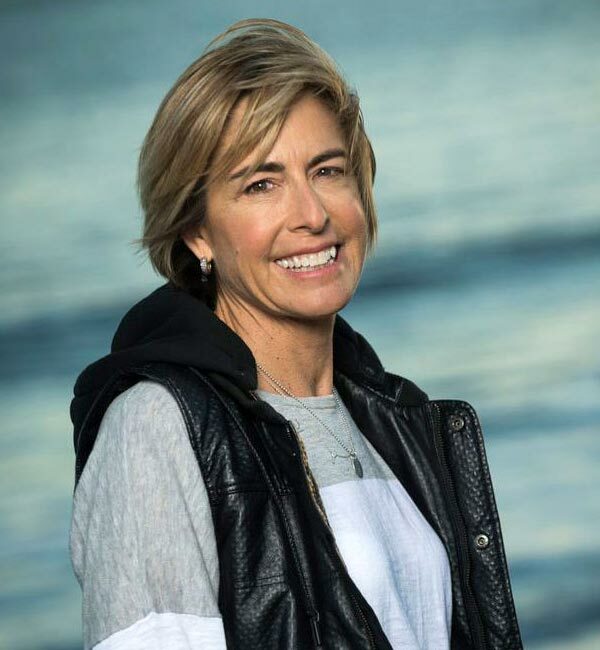 Later, she became a coach to help others discover the high-performer within – she has coached numerous athletes to Olympic medals and World Championship crowns at both the Ironman and half ironman distances. On stage, she illustrates why it's never too late to live the life you always dreamed, and shares emboldening strategies for realizing your ultimate potential, conquering self-doubt, and changing the thoughts, habits, and behaviors that keep you from taking your life and career to the next level. David joined Mintel in April 2014 as Global Packaging Director. 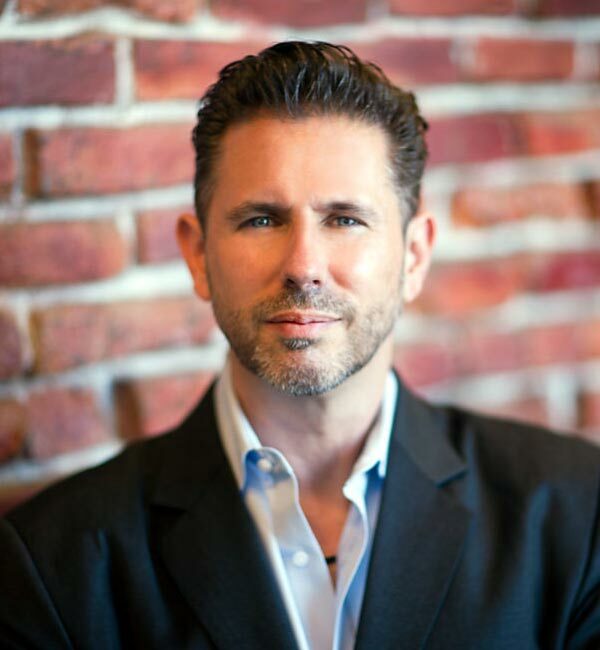 He has nearly 25 years of diverse packaging experience across multiple end-use categories and all packaging formats. He has worked with retailers, CPGs, packaging converters, and design and marketing agencies to help them better understand the business and innovations of packaging. He has specific expertise in packaging printing, design, environmental responsibility, mobile marketing, smart/active packaging, and qualitative and quantitative consumer insights. He is the former Director of Packaging Strategies. Has been the invited keynote speaker at packaging congresses and events in Asia, Africa, Europe, and North and South America. 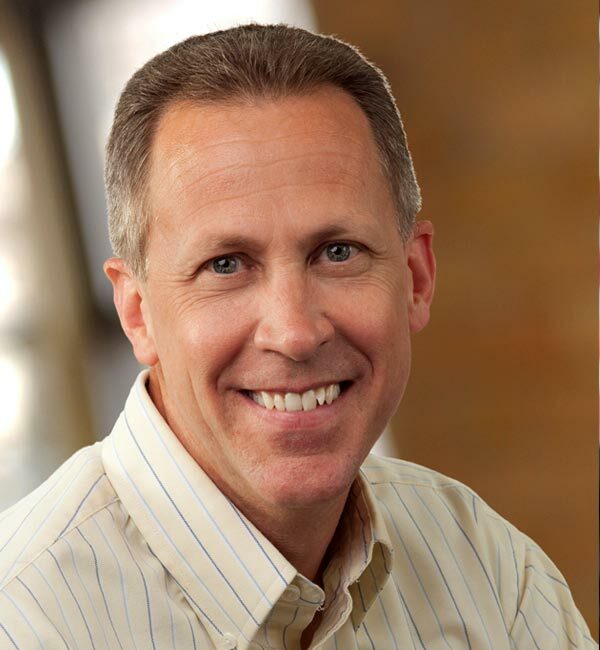 In 2008 he was named a Packaging Thought Leader by PTIS. Distributors contact staff for your coupon code (one per company). Printable registration form available upon request. We encourage you to register online, first registering yourself, then adding your spouse, etc. After selecting your attendee type, confirming your contact information, and selecting your registration, you will be asked to indicate all events you are attending. If a tour has an added fee, you will be prompted to select the ticket for that event. Our special events with an additional fee are the Whistler Ski Trip (including a three-day lift tickets for Friday, Saturday and Sunday and transportation to Vancouver on Monday) at $375; the Spouses Lunch, High Tea, and Shopping Trip at $75; the Foodie Tour at $120; the Golf Tournament at $245; and the Capilano Suspension Bridge and Grouse Mountain Tour at $250. If you have questions, please contact staff. Alert NACD staff if you have any personal requirements regarding your attendance at this meeting that arise under the Americans with Disabilities Act. Alert NACD staff if you have any dietary restrictions that NACD should be aware of regarding your attendance at this meeting. Experience the vibrant energy of downtown Vancouver, British Columbia. This waterfront property enjoys stunning mountain and Coal Harbour views. It is steps from the seawall and scenic Stanley Park. All rooms in our block are upgraded, and start with Deluxe Harbor View rooms. Prices range from $229 - $589 CAD. Reserve your room here. If the room you're looking for is only available for limited days, we recommend you reserve the room for the available days and then contact the hotel to extend the reservation within the discounted rate. Staff is always happy to help! Get your brand in front of the key decision makers of elite packaging distributors, speak to the entire Convention audience, and introduce your newest products and services. Join us for networking and local Vancouver fun at Prospect Point. Prospect Point is a point at the northern tip of Stanley Park in Vancouver, British Columbia, Canada, located on the south side of the First Narrows of Burrard Inlet. Enjoy dinner, drinks and music overlooking one of the most beautiful views in Vancouver. Join other NACD Members as we add a ski trip to world-famous Whistler to the Annual Meeting. Attendees should book their own transportation to Whistler and accommodations. Three Day Lift tickets and transportation back to the Westin Bayshore Vancouver are included on the add on to your registration. The lift tickets are good for Friday, Saturday and Sunday.Transportation back to the Westin will take place on Monday morning. We recommend staying at the Hilton Whistler Resort and Spa. A networking reception will be held for any attendees and companions interested. Contact Staff with questions. Enjoy High Tea and lunch in Vancouver. Attendees will snack on desserts, sandwiches, scones, teas and maybe even a glass of wine. Noisy and chaotic, yet irresistibly atmospheric, Granville Island is a paradise for food, art and culture. Chefs and foodies flock to the Public Market, where the crown jewel of the Island dazzles with quality produce, bakeries, butcheries, cheese shops, and local delights! 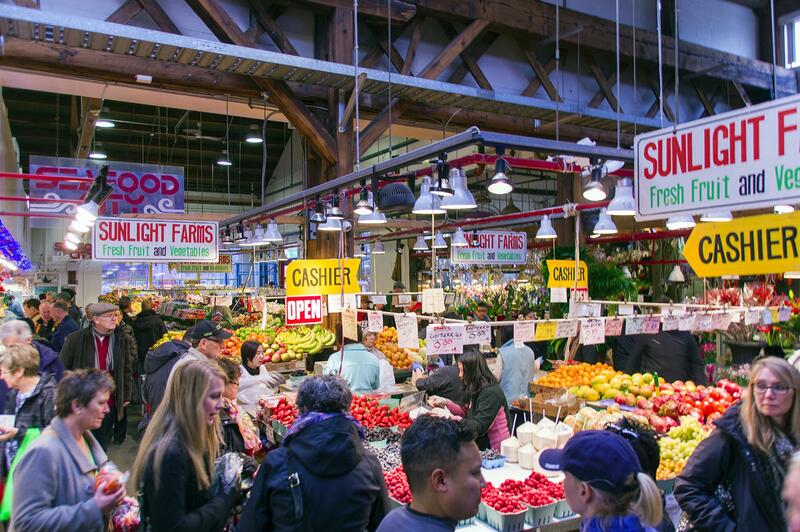 This Foodie Tour is THE way to enjoy an all-inclusive meal from the Public Market and Granville Island’s top food artisans. You’ll skip the lines and indulge in 20+ signature Canadian tastings, including organic breads, local charcuterie, British Columbia cheeses, melt-in-your-mouth donuts and more! Granville Island is a cornerstone of Vancouver’s local culture – it’s home to over 300 one-of-a-kind Canadian businesses. 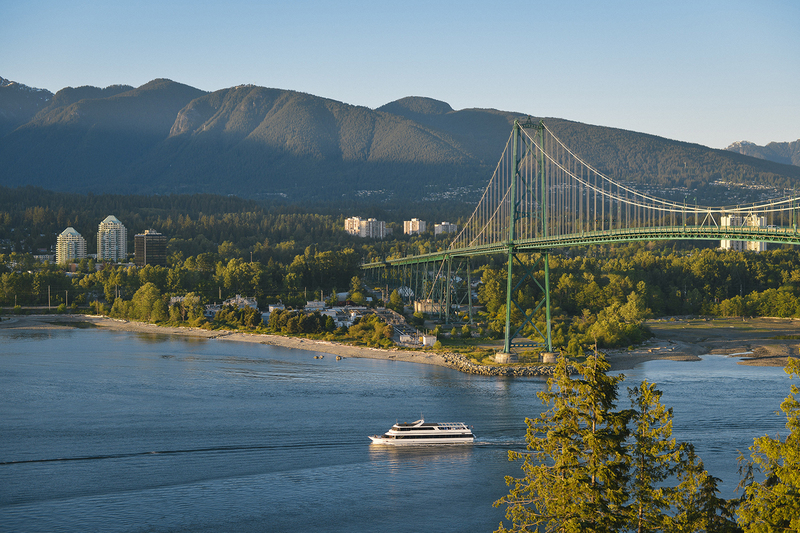 On this 5-hour luxury sightseeing tour, you are able to experience the best that Vancouver has to offer by exploring the natural beauty of the Pacific North coast. Forget about overcrowded charter buses or following other people’s timelines, experience this adventure in an intimate setting, and receive priority entrance allowing you to skip the long lines. 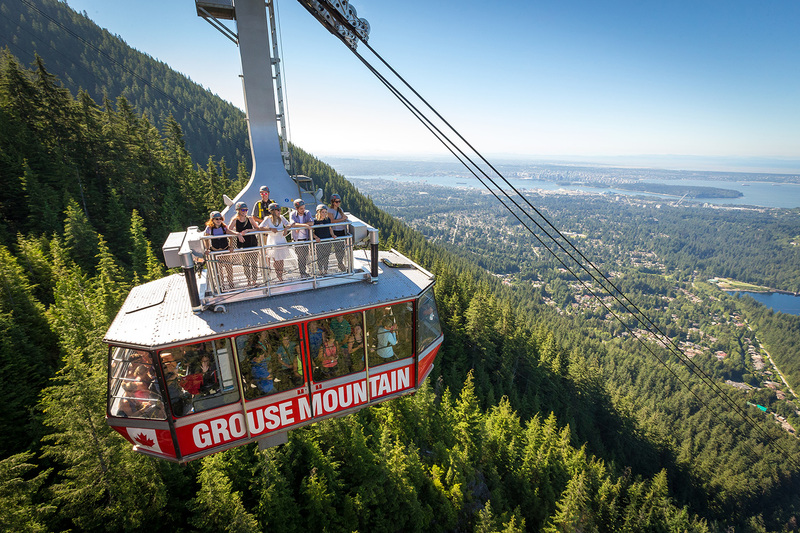 Inhale the fresh mountain air on a visit to Vancouver’s popular attractions such as Grouse Mountain where you will have access to over 40 mountaintop attractions such as the lumberjack show, grizzly bears, and the endangered birds show while taking in the stunning view of the city and sea. At the Capilano Suspension Bridge, visit the Cliffwalk and Treetop Adventure. Once again, NACD has chosen to support an intricate part of the city we visit. Stanley Park is the jewel of Vancouver. NACD will make a donation to the ecology society to help continue to protect and improve the park for locals and visitors alike. In conjunction with the donation, attendees can choose to do a park clean up (bring your outdoor clothes! ), go on wildlife walk or go to a plant tour. Park Clean Up: More info coming soon. Wildlife Walk: Join the Stanley Park Ecology Society (SPES) to get to know the wildlife who call this city their home. Explore the conservation projects the SPES conservation team works on that benefit these creatures. Plants Walk: Explore the wetland and forest ecosystems of Stanley Park (SPES) and get to know the local flora. 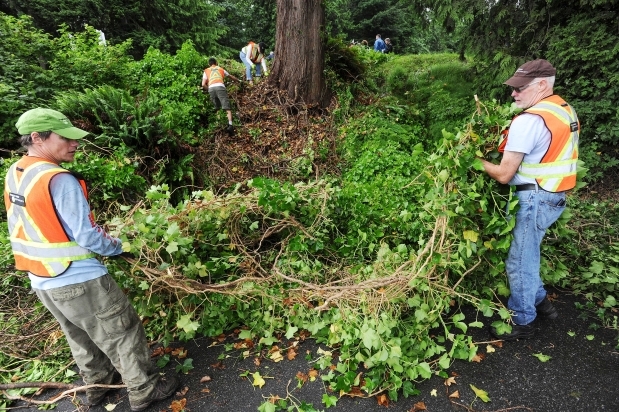 Learn how to identify key differences between some native and invasive species and how SPES is working to restore the habitats of Stanley Park. Northview Golf & Country Club is located in Surrey B.C. Canada, where our ‘Geographical Advantage’ provides more hours of sunshine per year than most courses in the great rainforest of the Lower Mainland. Our state-of-the-art drainage system is ready to do its duty and keep the fairways as dry as possible, at any time of the year! Featuring our Ridge and Canal Courses, designed by the legendary Arnold Palmer, Northview offers the best of the best! The Ridge Course is famous worldwide for hosting the PGA Tour’s Air Canada Championship/Greater Vancouver Open which featured some of the world’s best golfers such as Payne Stewart, Sergio Garcia and Vijay Singh as well as Mike Weirs’ first PGA Tour victory right here at Northview. We are proud to offer you both a world class golf experience as well as our expertise in ensuring that your event is taken to new heights! No one shall schedule or conduct any event, function, or meeting which in any way conflicts with or detracts from scheduled NACD Annual Convention meetings or events. Please register in advance. All leisure activities have a minimum participation requirement and are subject to cancellation. If a cancellation occurs, a full refund will be provided for that activity. Policy with regards to meeting dress codes includes the following: Men - slacks, open neck, banded collar or polo shirts, sweaters, walking shorts, no ties/jackets required. Women - slacks, skirts, blouses, sweaters, walking shorts, open neck banded collar or polo shirts. Meeting rooms tend to be cooler than the outside temperature. A light jacket or sweater may be necessary. The theme of the gala is "Great White North". Dress code is black tie. White dress and accessories are encouraged but not required. You can rent a tuxedo for delivery to the Westin here. Reference NACD on your form.The catalog is herehttps://www.blackandlee.com/catalogs. If you have any questions regarding the event, please contact NACD Staff at (630) 942-6585.